My friend, my love, my David. I got in touch with my cultural side today. Mummy had a very artistic day planned for us, firstly we took the road right outside of our hotel down to Ponte Vecchio. Ponte Vecchio is a medievil bridge crossing the Arno River, it was once the main route into the city centre. 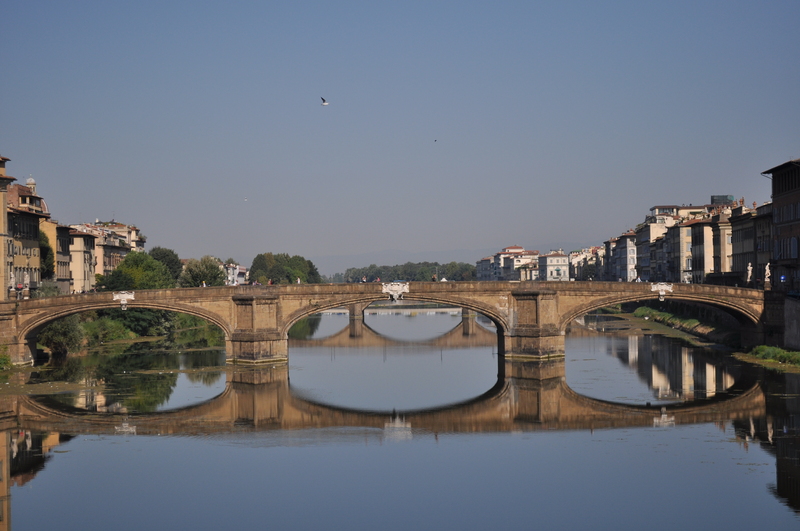 Fun Fact # 3: Ponte Vecchio means Old Bridge. The Bridge was originally made out of wood but a flood in 1333 destroyed it. Today it is built of stone and is lined with leather and jewelry shops, hawking their craft learned through the ages. When mummy was at school, her favourite subject was art and she wasn’t too bad at it. 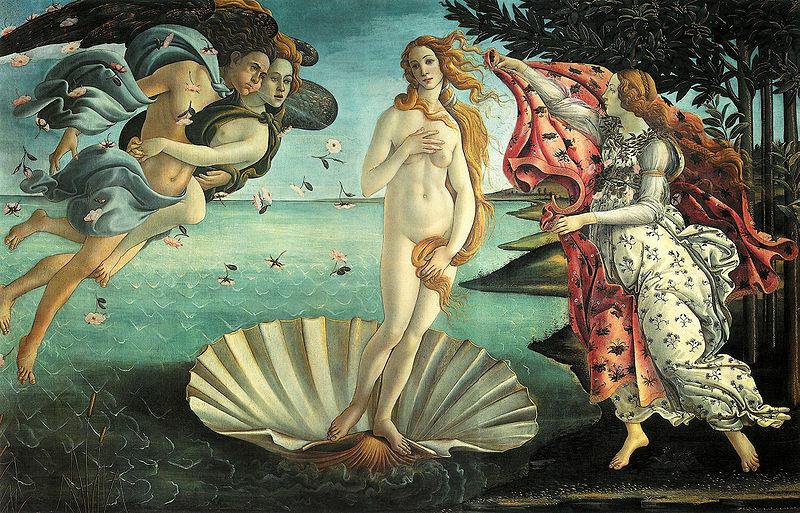 She had 2 favourite artworks, one of those was Sandro Botticelli’s ‘Birth of Venus’. This was next on our cultural tour of Florence. It is located in the Uffizi Gallery, a 16th century building which was the first museum open to the public, making this the oldest Museum in the world. There is a whole room dedicated to Botticelli’s works. I have to admit, this museum was a bit dull for a little baby and everyone is so quiet. For one normally quiet baby, I found my voice here and it echoes! 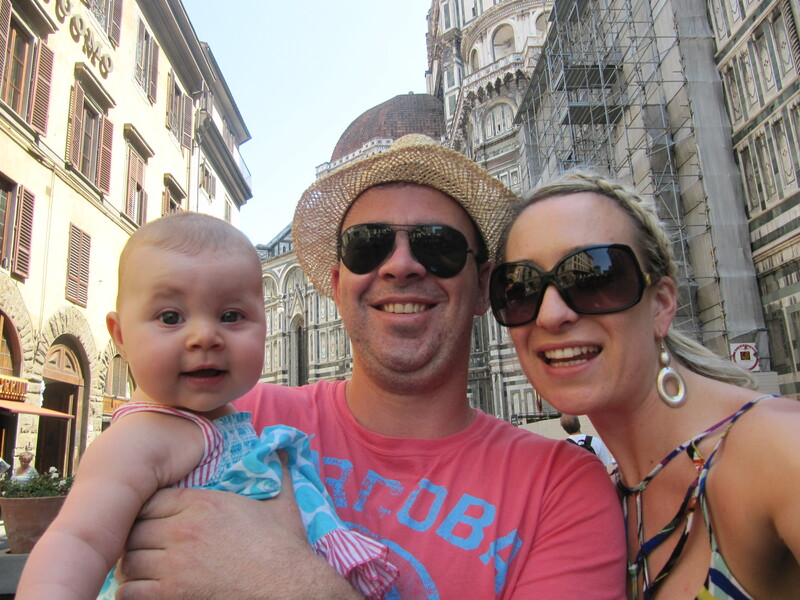 We took a walk past the Bargello – the medieval palace and then carried onto the Piazza Duomo which was quite impressive. It is massive and very different to the Duomo in Milan and Venice as it has a more gothic style to it. We spent a little bit of time here as mummy was trying all different settings on her camera, she has been embracing her inner tourist. A quick ice coffee for mummy and daddy and milk for me and we moved onto the Accedemia Galleria. 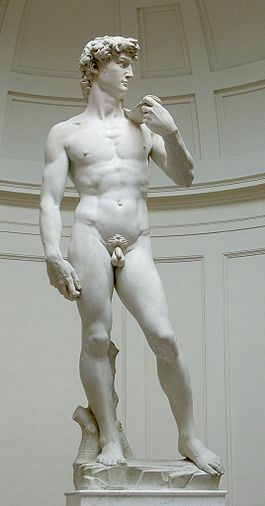 The home of Michelangelo’s statue of ‘David’. WOW! What a man. The statue is HUGE! It has definitely been a highlight of the day, I can’t believe I have seen so many famous works of art in one day. We had to really call it a day after seeing The birth of Venus and David, I mean lets be honest everything else would have been a bit underwhelming. So we walked through the leather markets and took an unplanned detour home to our Hotel. We finished our day with one more sightseeing opportunity. Luckily enough we are staying right next to one, the Piazza Santa Maria Novella another gothic piece of architecture. Mummy and daddy had a Brontosaurus steak dinner that would make Omi and Sally’s Dino steaks look like lamb cutlets. 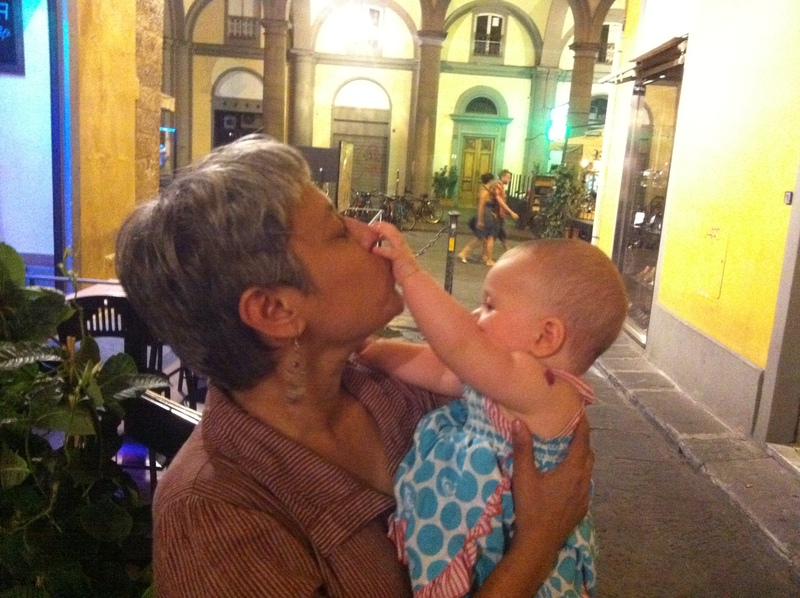 We met some lovely people travelling from India on our way home, they gave me lots of cuddles. Once again I have been very popular, not to blow my own trumpet. I am about to get into my cot and have a nice sleep before our adventure tomorrow. Stayed tuned…. I am giving nothing away. 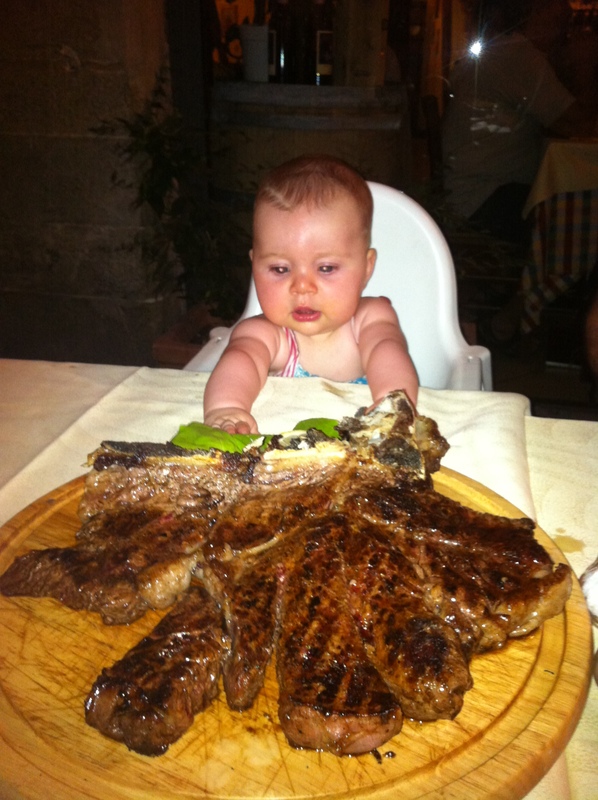 When mummy said I could try some steak, I didn't think she meant I could eat a whole cow.